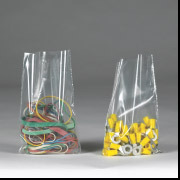 Hundreds of sizes and styles of cellophane bags, polyethylene bags and tubing! Call us! Polyethylene Bags, Flat or Gusseted, 1 mil to 6 mil, from 3" x 3" up to 56" x 60"! 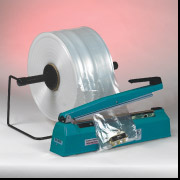 PVC shrink tubing available lay flat dimensions from 1/2" up to 40"! Polyethylene clear tubing available from 1" to 48" layflat, from 1.5 mil to 6 mil thick!